Arrrrrr thats better, my favorite tipple, bought 3 bottles when i returned from Bali last week....should last me till the end of the month!!! !....damn & blast, its the 31st TODAY.......! Last of the Springbank 18yo. Need to get another bottle. One of my favourites. 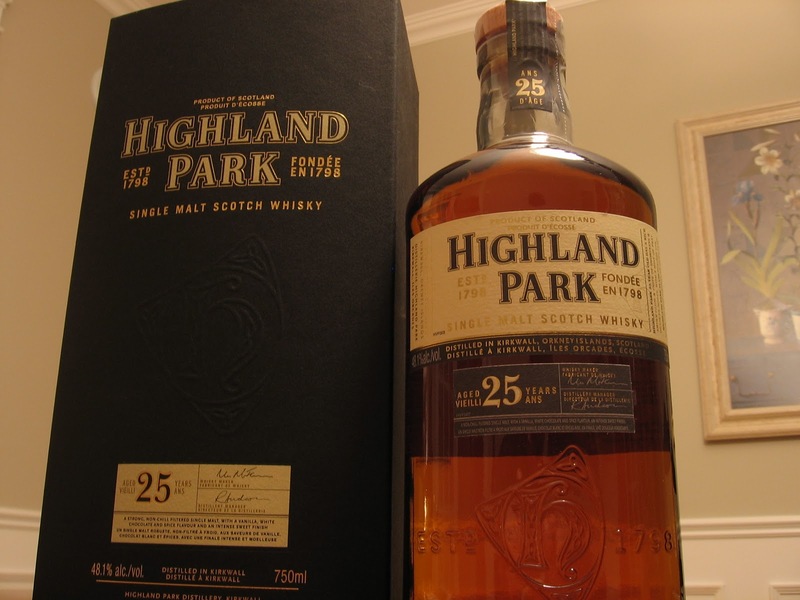 A great dram. Just bought a Canadian brand, JP Wiser's.. It's not bad.. tastes OK. It's been manufactured for a few years, 1857 or there abouts... I'd recommend for the money. It's no Ardbeg, or Laphroag peaty burner, and it doesn't have the Jura lightness. But worth a go for the money. Silent souls leave .308 holes. Touring the Highlands - wonderful place!! Just been through Orkney - had a quick peek at the Highland Park distillery - will try and check out a few more, not acquired a taste yet! OMG! Hope the weather holds Pysched lucky man! So my dad used to take us to Islay every year for holidays, it was always effing cold, normally not even in the middle of summer, raining and damp. We stayed in some God-forsaken “holiday” home with brown running water, water I later realised was sacred but made your Horlicks grey! He used “pop” out every afternoon because it was fecking miserable and disappear for several hours and it wasn’t till later in life I realised we only went to bloody Islay because it was full of whisky distilleries. When I hit my teens it was deemed socially acceptable for me to tag along with him, fishing in the morning and surprisingly enough a river within walking distance of a still! By the time I was 18 I think I had visited most of the distilleries in Scotland! Well, the Mrs handed me this last night. 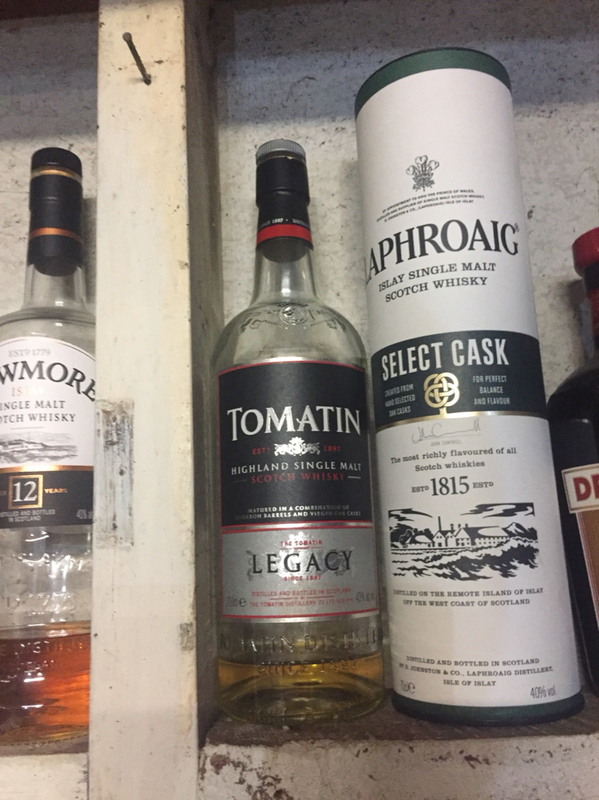 How’s the Tomatin going Cap? It’s a nice drop that one! I know some of the whisky snobs will knock this one, but there is a reason why most whisky sold in Scotland let alone the world is blended and it’s not because we’re all drunks and cheap... well maybe all drunks BUT some of the most expensive bottles of life water are blended Scotches and if it wasn’t for good quaffable blended plonk I would have nothing to put in my porridge!!! I was gifted this last week and it would be completely rude and ill mannered not to make an effort to enjoy it. I cracked it open last night with a glass and onto my second night running with it. I have to say it’s a smooth easy drinking drop that you can sit down at the end of the night with and comfortably drink. Not sip or swirl and admire like a single malt but drink and enjoy. It’s full flavoured and the carbon charring adds a smoothness and smokiness normally reserved for peat filtering. In Scotland it was common back in the day to order what was called a half and a half. Essentially a half pint of “heavy” which was a red ale and a half Gil of whisky. This was a common lunchtime drink and it would get knocked back fairly swiftly. When you put it into perspective that a Gil is the equivalent of 142 mls so a half Gil is is 1 tenth of a 750ml bottle thereabouts, it’s a serious lunchtime drop. Where am I going with this? 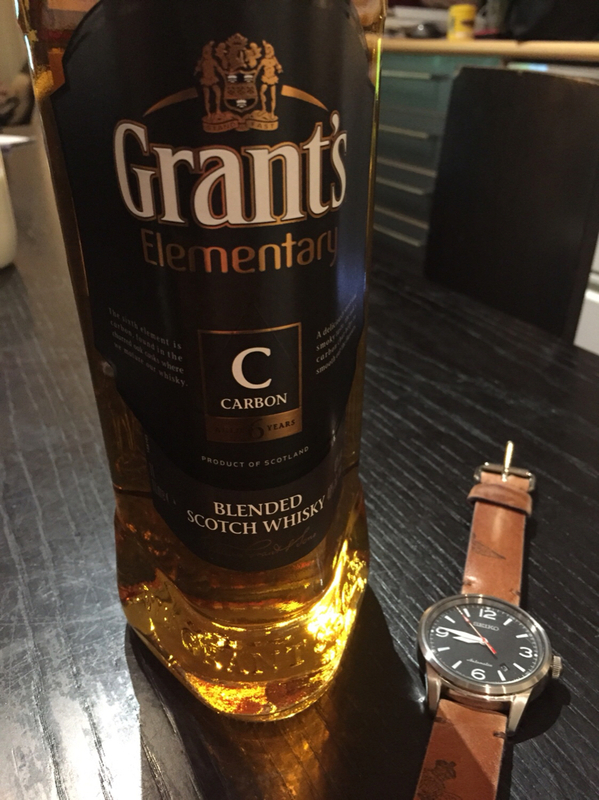 It was always a blended whisky because they are so bloody easy to drink! Last edited by Brucy; 03-07-18, 21:20. The Tomatin is pretty good Brucy. Quite light and fragrant. Not the heavy peaty stuff I'm used to. The Mrs told me it was $46 so I was pretty impressed with it at that price point. Then I got to thinking that maybe she wants me to cut down on my whisky spending. So I'm slumming it now with a Blend. First time I've tried this one and imho is not worth half the money. Yeah not bad value for the money the Tomatin, not a standout either but a good price and easy to drink on a regular basis. mine is looking a tad empty! WOW!! Is that small shot of a subterranean horde of amber nectar I wonder. This aint too foul! I'll struggle through it...no point grumbling.